Born: 23 September 1863, London, England. Died: 4 July 1944, London, England. William L. Sclater, zoologist, was the eldest son of Philip L. Sclater* and his wife Jane A.E. Blair. He was educated at Keble College, Oxford, where he graduated as Master of Arts (MA) with first class honours in the School of Natural Science in 1885. For brief periods he worked as a demonstrater in zoology at University College, London, and at the University of Cambridge (1887). In 1886 he undertook a short collecting trip to British Guiana (now Guyana), leading to the publication of some of his earliest papers, on the birds and Peripatus of that territory (1887). In August 1887 he was appointed deputy superintendent of the Indian Museum at Calcutta (now Kolkata). He compiled Part 2 of its Calalogue of Mammalia... and lists or descriptions of the snakes (1891), birds (1892), frogs (1892) and Batrachia (1892) in its collections. For some time he also edited the Journal of the Asiatic Society of Bengal. After his return to England towards the end of 1891 he became a science master at Eton College, one of the most notable of English public schools, from 1892 to 1895. On 1 February 1896 Sclater married Charlotte S. Mellis of Colorado Springs, United States. On 9 January that year he was appointed director of the South African Museum, Cape Town, succeeding Roland Trimen*. Arriving in March his first task was to oversee the move of the museum from the South African Library building into a nearby new building. However, he found time to visit Dassen Island soon after his arrival and write "A visit to Dassen Island, the home of the jackass penguin" (The Ibis, 1896). During his term of office the acquisition of specimens was increased drammatically by museum correspondents in all parts of the country. He introduced modern cataloguing systems throughout the museum and its library, but perhaps his most important contribution to the museum as a developing institution was that he established the director's authority in directing the museum's professional progress, a matter which led to confrontation between him and the trustees. According to Summers (1975) his directorship spanned the most brilliant decade in the museum's history, when it was the leading scientific institution in South Africa. In 1898 Sclater inaugurated the museum's own scientific publication, the Annals of the South African Museum, in which many of the scientific papers written by staff members have since been published. In the first issue he included his checklist of South African reptiles and batrachians, describing three new species. Meanwhile in 1897 he had presented a variety of land invertebrates to the museum. However, as keeper of the Department of Vertebrates his interests centred mainly around mammals and birds, leading to the publication of his "Descriptive list of the rodents of South Africa" (Annals of the South African Museum, 1899), The geography of mammals (with his father as co-author; London, 1899), and a two volume work, The mammals of South Africa (London, 1900-1901). The latter was the first comprehensive account of the subject and included an annotated bibliography of early mammal observations. After the death of Dr A.C. Stark* in November 1899 Sclater continued the latter's ornithological work by completing Volume 2 and writing Volumes 3 and 4 of The birds of South Africa (Stark & Sclater, London, 1900-1906). In this classical work too the historical background was carefully recorded. A few years later, to consolidate recent changes in nomenclature, he published a "Checklist of the birds of South Africa..." (Annals of the South African Museum, 1905, Vol. 3(8), 85p). 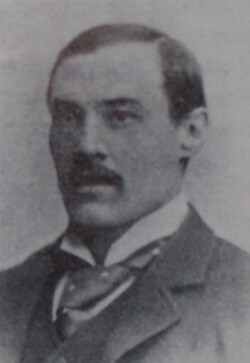 Sclater became a member of the South African Philosophical Society in April 1896 and in September that same year was elected a member of its council. He served in this position until 1904, and was honorary treasurer from 1897 to 1903. When the society became the Royal Society of South Africa in 1908 he continued as a member until 1913. His most important contributions to the society's Transactions were three papers, the first dealing with portions of the stone cross left by Bartholomeu Diaz* near L�deritz, Namibia (1898), and the other two to the so-called Post Office stones and other inscribed stones of the Cape Colony (1901, 1906). In 1902 Sclater became a foundation member of the South African Association for the Advancement of Science and served on its first council. In 1905 he contributed a chapter on "Land vertebrates of South Africa" to the volume Science in South Africa, published in preparation for the joint meeting of the British and South African Associations for the Advancement of Science. At that meeting he read a paper on "The migratory birds in South Africa", which was included in the Addresses and papers... (Vol. 3, pp. 40-48) published after the meeting. He was a foundation member of the South African Ornithologists' Union, serving as its first president from 1904 to 1906. Thereafter he was elected an honorary member. In 1906 he was co-author with Dr F.O. Stohr* of a paper on the birds the latter had collected in north-eastern Rhodesia (now Zambia), published in the union's Journal. His honorary membership was continued after the union amalgamated with the Transvaal Biological Society in 1916 to form the South African Biological Society. Sclater left the South African Museum in 1906 as a result of a dispute with the trustees over leave. Shortly after his return to England his wife's uncle, General W.J. Palmer, invited him to develop the Colorado College Museum in Colorado Springs, United States, where he stayed for three years. His work there led to the publication of A history of the birds of Colorado... (London, 1912). In 1909 he settled in London and as an honorary worker at the British Museum interested himself in birds, especially those of Africa. With his wife he travelled in continental Europe and in north Africa and in 1919 made a trip around the world, including visits to leading museums in the United States. His great work, Systema avium Aethiopicarum: A systematic list of the birds of the Ethiopian region, was a checklist and synonomy of all the bird taxa described up to 1928. It was prepared in conjunction with the British and American Ornithologists' Unions and dealt with the avifauna of Africa south of the Tropic of Cancer. Published in two volumes in 1924-1930, it long remained an important taxonomic work in African ornithology. He was a member of the British Ornithologists' Union, serving as editor of its journal The Ibis from 1913 to 1930, as president fom 1928 to 1933, and receiving its Godman-Salvin Gold Medal in 1930. He was also general editor of the Zoological Record from 1921 to 1937 and was a Fellow of the Zoological Society of London. In collaboration with others he published papers in The Ibis on the birds of Inhambane (1899), South Africa (1911-1915), Sudan (1919-1920), north-eastern Tanzania (1932-1933), central and west Africa (1933-1934), and Ethiopia (1936). The bird species Spizocorys sclateri (Sclater's Lark) was named after him by Captain G.E. Shelley* in 1902. In addition to zoology Sclater was interested in early explorers and naturalists, and wrote articles on, among others, Fran�ois Le Vaillant* and William Dampier*. He was a tall, lean man, who usually wore a monocle. From 1931 to 1944 he served as honorary secretary of the Royal Geographical Society. In the latter year he died as a result of injuries sustained in the German bombardment of London during World War II. Anon. The South African Ornithologists' Union. South African Journal of Natural History, 1918, Vol. 1(1), pp. 22-23. Cape of Good Hope. Report of the Trustees of the South African Museum, 1896-1901. Flint, W. & Gilchrist, J.D.F. (eds). Science in South Africa (Chapter by Sclater). Cape Town: T. Maskew Miller, 1905. [Grindley, G.R.] Presidential address: 150 years - an assesment. Southern African Museums Association Bulletin (SAMAB), 1975, Vol. 11, pp. 249-260. Obituary: Mr W.L. Sclater. Nature, 1944, Vol. 154, pp. 204 (by N.B. Kinnear) and 401 (by K.H. Barnard). Obituary: W.L. Sclater. Transactions of the Royal Society of South Africa, 1948, Vol. 31, pp. xlvii-xlviii. South African Association for the Advancement of Science. Report, 1903, 1904, 1905/6: Lists of members and office bearers. South African Journal of Natural History, 1919, Vol. 1(2), pp. 274-277: Members (of the SA Biological Society). South African Ornithologists' Union. Journal, 1906, Vol. 2: Papers by Sclater; 1909, Vol. 5(3), list of members. South African Philosophical Society. Transactions, 1895-1907, Vol. 9-11, 16, 17: Papers by Sclater and lists of members.